How am I already in the second week of my third trimester!? Here’s hoping the rest of this pregnancy goes by just as quickly! How Far Along: We’re 29 weeks in and it seems crazy to only be 11 weeks away from meeting our sweet babe. We definitely cannot wait!! I do feel like thus far this pregnancy has gone by relatively fast. Baby Size: At our last appointment, our doctor told us that baby is 2-3 pounds and about 14.5 inches long. According to my bumpdate reminders he is about the size of an acorn squash. What I’m Craving: I don’t really crave much of anything, fro-yo always sounds good but I don’t think I’ve actually had it once. I get full so quickly because my stomach has no room for expanding so food doesn’t really sound good unless it’s morning time. What I’ve Purchased: Basically a bunch of clothes, ha and everything for his nursery. I just got the most adorable baby animal drawings in, I cannot wait to get those framed and hung! When his nursery is complete I’ll be sure to share a few pictures. 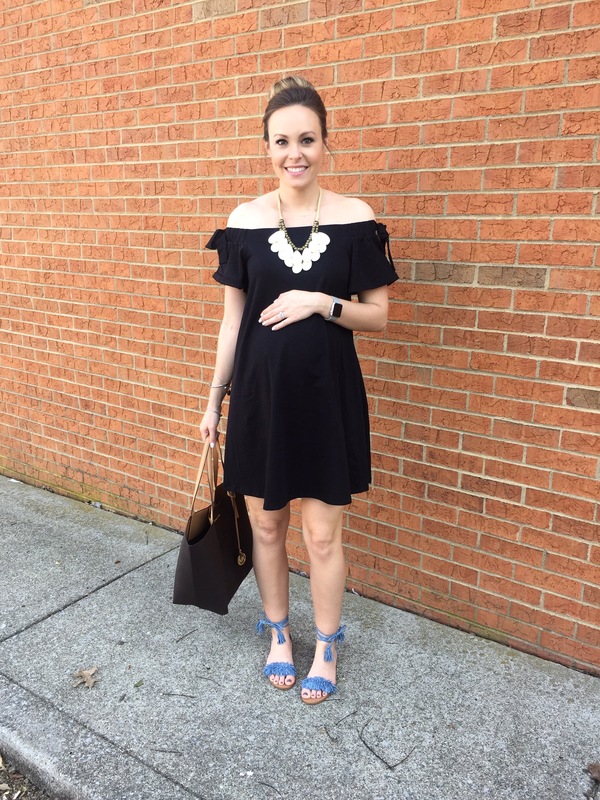 I’m trying to hold off on buying too much because I have a couple of baby showers coming up! Products I’ve Bought for Myself: The most amazing product in my medicine cabinet is Bio-Oil!!! I use it twice a day, everyday, it’s the best (plus, so far no stretch marks, itching, redness, dryness… thank you bio-oil). I started using Palmer’s coconut butter lotion, it smells amazing. I’ve also started taking baths more often so I’ve invested in bath bombs, makes it more relaxing. Hope everyone has a great week ahead and thanks so much for stopping by! !